It’s Sunday Morning at the Hobbit Hole and that means it’s time for the Sunday Scan. Every Sunday I will scan and post a new comic-book cover from my collection. I’m doing it in a format I call “HQ-3000”. These are HUGE and the pixel height of the image will always be 3,000. This week’s cover is by the incomparable Michael Golden! 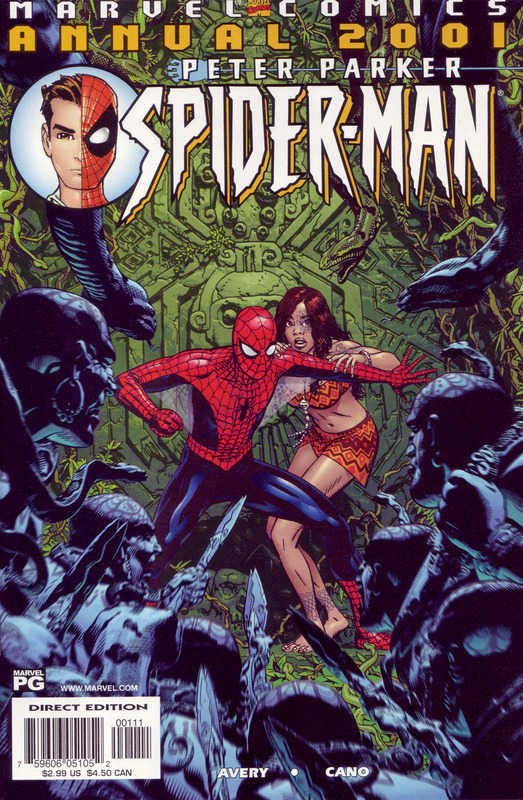 This is from Marvel’s Peter Parker: Spider-Man 2001 Annual (2001). I love the intensity of this one and the sense of movement. The story is set in Peter Parker’s High School days and Michael Golden really nailed the look of the slightly thinner less muscle-bound (more Ditko than Romita) Spider-Man. Impressive detail.